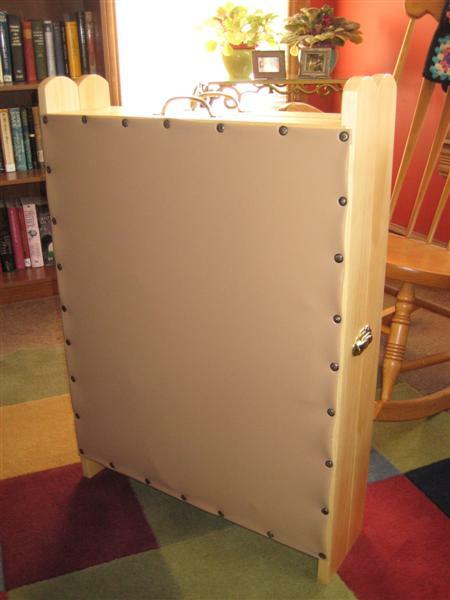 This sewing screen was made to match one my mom has that her grandfather and aunt helped her make when she was little. My dad made me the frame for Christmas and my mom helped me put together the background and pockets. Then I had to eat lots of jelly to get those empty jars but it’s finally completely finished. Wow, this is absolutely amazing! I have never seen anything like this before, it is a great idea and would come in very handy. Lucky you, thanks for sharing.. I have one of these made by my grandmother about 60 years ago in “Home Bureau”. While trying to describe it to a friend, I Googled ‘sewing screen’ and found this site. Amazing!! It’s exactly the same except for the material, and mine is a darker stain. I want to give it away to someone who can use it, as I’m downsizing and have no place for it. 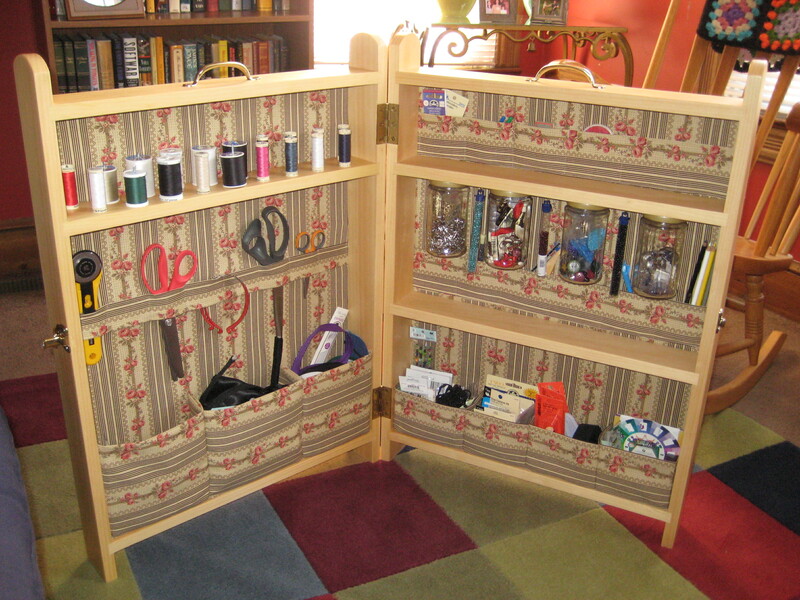 I have one of these also made by my Mom in “Home Bureau” . I/m trying to replace the fabric and need the directions. I thought I had a copy. By the way, this one was made in Suffolk County, N.Y. and has been in use ever since. Our was also darker and the fill/Stiffening for the backing was old movie posters from our local movie theater. I just found two references. Early American furniture you can build by Ralph Treves. ARCO Publishing Co. Inc. New York. No date. Lots of good pictures. Woman’s Day 11/5/85. The picture is ours exactly.